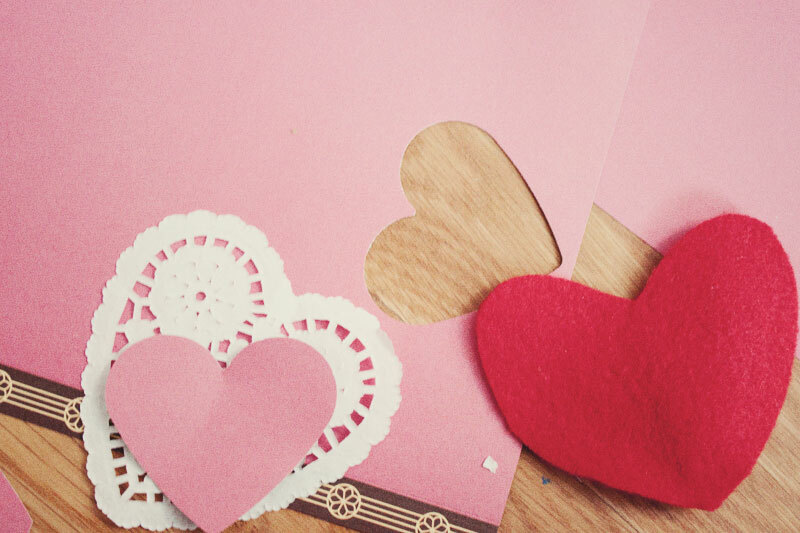 This past weekend I had some lovely ladies over for a crafting brunch (which I, without them knowing turned into a Valentine's Day brunch so I can share some V-Day tips for y'all). The day was filled with spray paint, carbs, laughs, champagne and hearts. Two of us sat and watched (a-hem Claire and Amy) and the other 3 got our hands dirty and made some beautiful things. There were a few awkward moments which LizHo I am sure will share this week, but all in all it was quite the success. 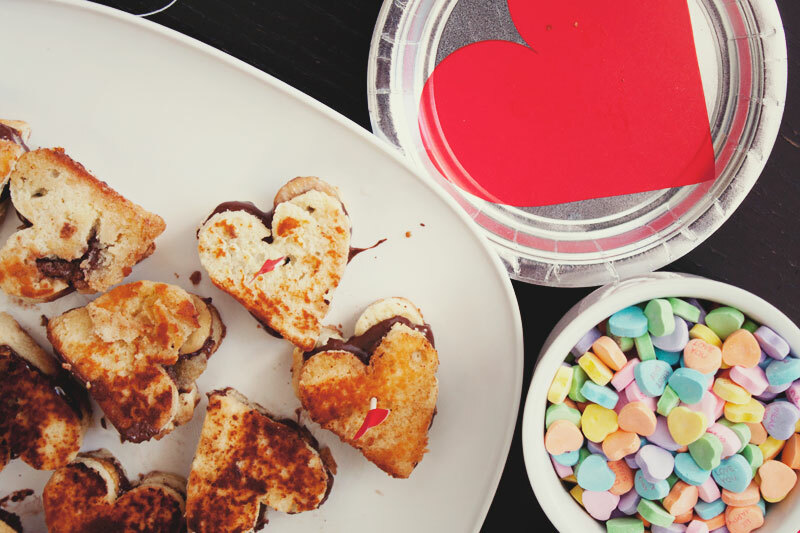 The table was covered with heart plates, pound cake heart diecut sandwiches (recipe coming this Friday), and some very modern candy hearts. We whipped out our new waffle maker, made some muffin frittatas (with english muffin baked on the bottom!) 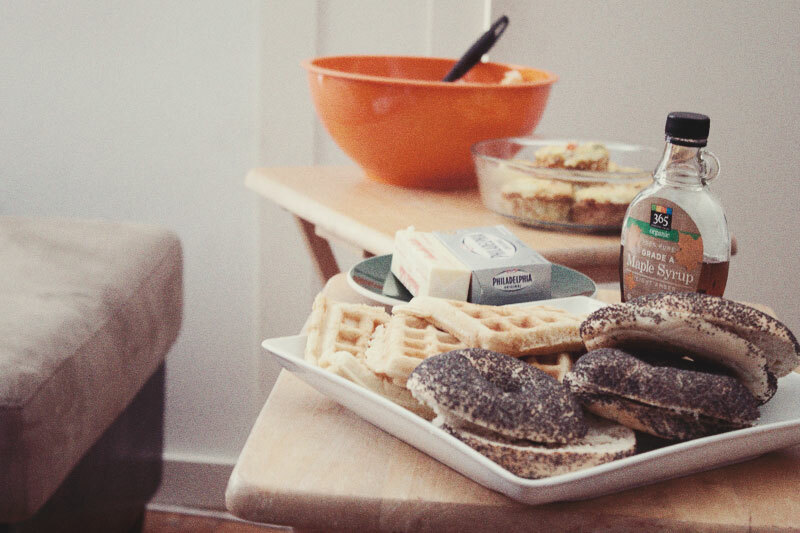 and of course there were bagels (we are in NY!). But we have this HUGE white space above the TV that drives me absolutely crazy. For Christmas I made some snowflakes to fill the void, so why not some simple heart bunting for Valentine's Day. This is so easy and so cheap it was a quick fix to the lack of decor. Supply List / Heart Hole Punch (or you could really just cut them out freehand, you can do it! ), heart doilies (or again just cut them out of white paper! ), black yarn (from the dollar store), 1 sheet of red felt, 1 sheet of pink paper, scissors and tape. 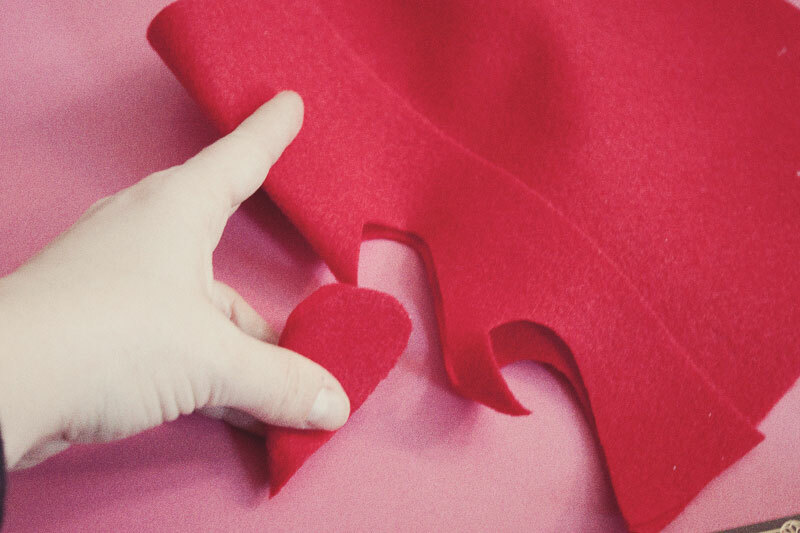 1 / Fold a crease about 1.5 inches in from the edge of the red felt and cut a half heart along the crease so when you unfold it its a whole heart! Repeat this step until you use up all the felt, I used 6 felt hearts. 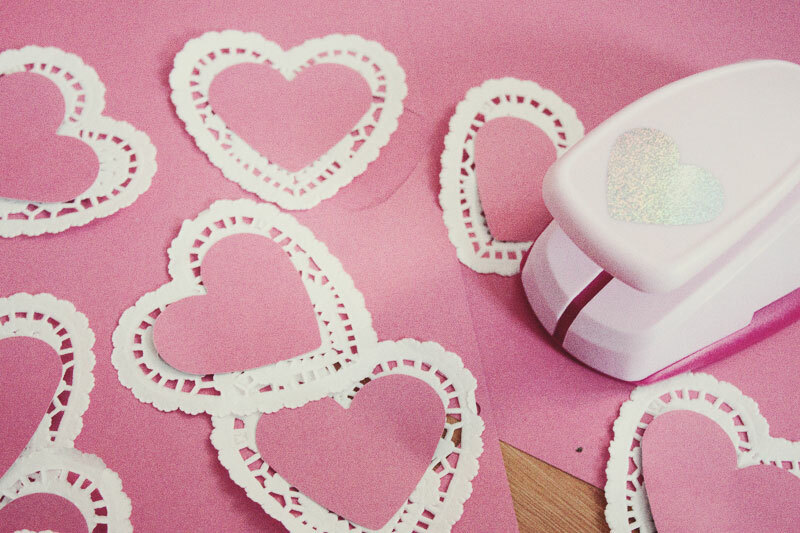 2 / Using the heart hole punch, punch a bunch of hearts out of the pink paper. 3 / Tape the pink hearts to the center of the doilies. 4 / Cut two small slits in the felt heart, one in each peak. Thread the yarn from the front into the hole, then across the back of the heart and from back to front through the hole on the opposite side. 5 / Thread the doily in the same way on the string next to the felt heart. Continue along until you have no hearts left, alternating from felt to paper. And there you have it, we are all decorated for the holiday. My Valentines are my two roommates this year, but I love them more than i love most people so they will do just fine. Come back on Friday for an awesome recipe, using homemade pound cake, bananas and peanut butter! SO GOOD. (I may be snacking on the leftover ones as I write this, I also may have gotten some peanut butter on my keyboard that I may lick off when I hit save). 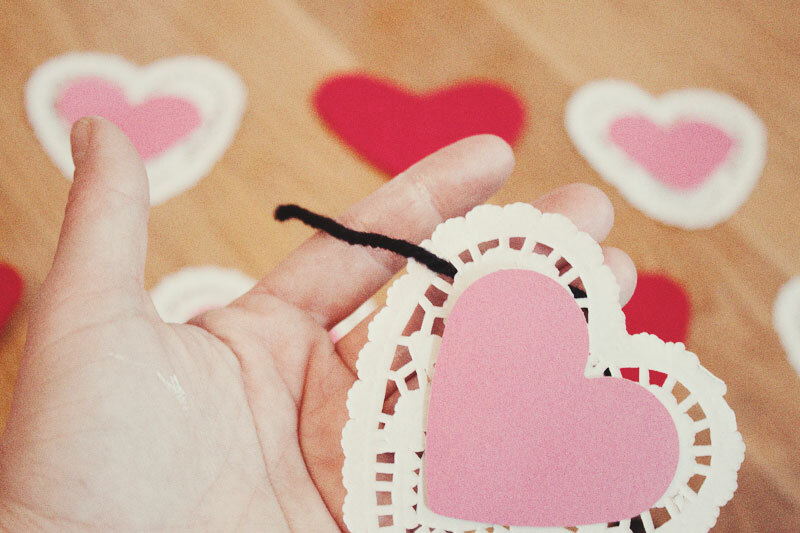 Do you have any simple Valentine's tricks up your sleeve?